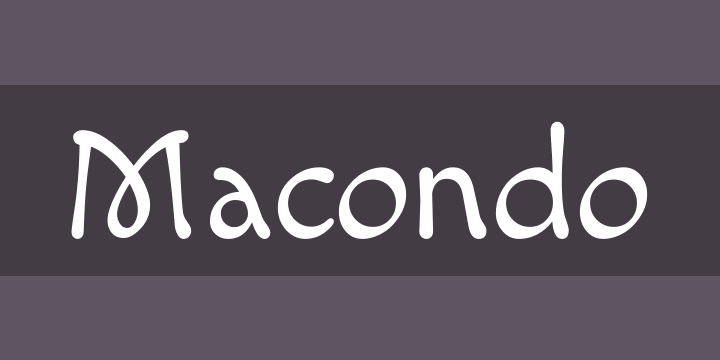 with Reserved Font Name Macondo. Macondo. The first purpose of this typeface was to provide an original and systematized style of calligraphy adapted into a modern digital font. The forms are inspired by some illustrations created for a tarot card game, itself inspired by the work of Colombian literature Nobel prize winning author, Gabriel García Márquez, «Cien Años de Soledad». Early versions of this font were made in 1997, but recently in 2009 it was substantially improved.